The Cottages of Boone project is a marquee project for BEA as they designed and/or managed all aspects of this one-of-a-kind project. The recent growth at Appalachian State University has left Boone with a shortage of student housing. A national student housing developer has undertaken a unique project to provide approximately 900 student beds in cottage style development, high atop mountainous terrain near Boone, NC. The facility is unique in that it is a cottage style student housing project, with incredible mountain views. It is all supported with onsite water supply and wastewater treatment systems. The Cottages project is one of the largest development projects in the state supported entirely by an onsite well system for potable water supply and an onsite wastewater irrigation system for wastewater treatment and disposal. The water system is permitted through NCDENR DWQ and provides for fire protection with hydrants and building sprinkler systems. BEA’s engineers designed the wastewater system with membrane technology to treat the domestic waste to extremely high levels to protect the sensitive mountain riparian environment. 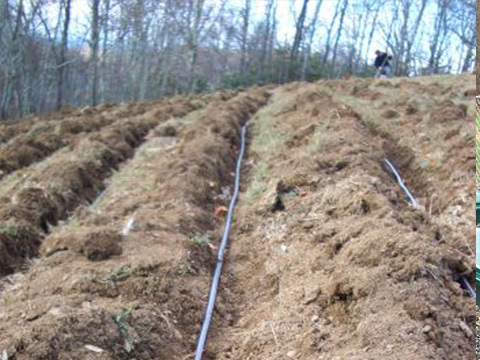 State-of-the-art drip irrigation technology is used to irrigate landscaping on the steep mountain slopes in a manner that will protect against surface run-off. BEA’s unique capabilities with in-house soil science services make the complex design and permitting process seamless and expedient.